New Year Theme Christmas Winter Office Company Employees. 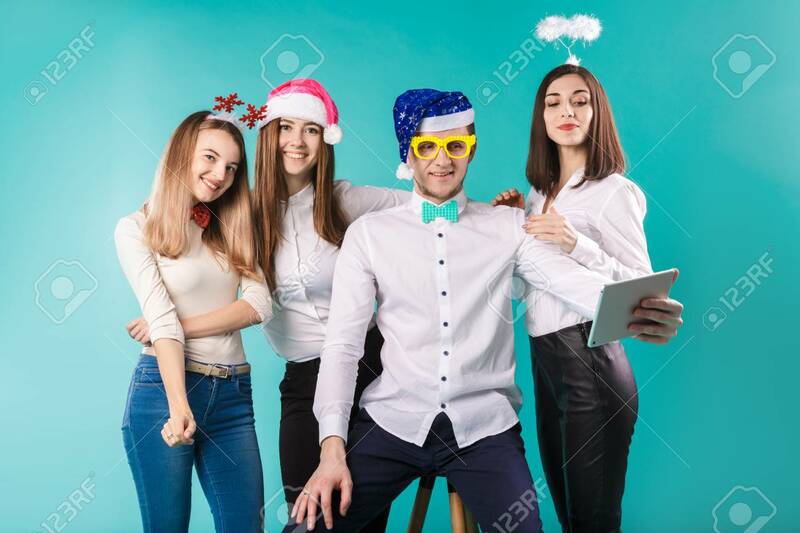 Group 4 Young Caucasian People Business Smile Holiday Funny Hats Accessories Glasses Take Photo Yourself Selfie Tablet Blued Background. Lizenzfreie Fotos, Bilder Und Stock Fotografie. Image 115334483.